At Vision Care 2000, we've provided comprehensive eye care and vision screenings to the area for decades. We're here to help you with all of your needs including a contact lens exam. When you visit your optometrist in Boston in our offices, we encourage you to seek out a contact lens exam even if you are not sure they are right for you. We'll discuss each one of your options and give you an idea of what you can expect. What Makes a Contact Lens Exam Different? A contact lens exam is a more thorough eye exam from the traditional eye exam. When you come in, you'll have many of the same tests and screenings to determine the quality of your eye health. From there, we'll also conduct more screenings to determine your vision prescription – if you have a limited level of eyesight. During a contact lens exam, we'll discuss the types of lenses available and which ones are right for you based on the size and shape of your eye. We'll take measurements and provide a more in-depth look at your eye health to determine if they are healthy enough for contacts. 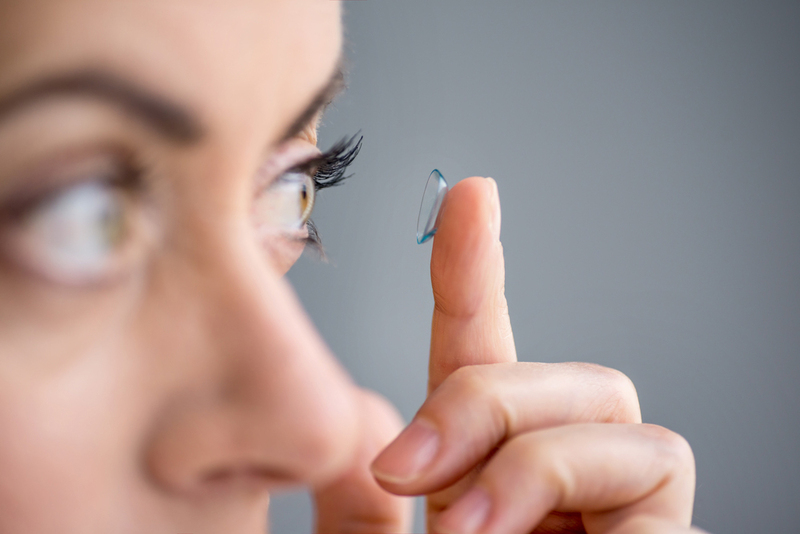 While contact lenses are not right for everyone, they are a benefit to many people. They can be worn by adults or children with most types of vision limitations. Many people prefer the look of going without glasses. And, they are overall easier to manage during the day. With proper care, contact lenses can provide the best level of vision quality to you. What Happens During a Contact Lens fitting with Your Boston Optometrist? When you come in for your contact lens fitting with your Boston optometrist, we'll teach you about contact lenses including how to wear them, how to clean them, and how to store them. We'll let you practice putting them in and taking them out. Your optometrist will also make sure they fit well and feel good on your eyes and that your vision is improved with them. We carry all of the top brands including Acuvue, Biofinity, and Air Optix. Don't put off caring for your eyes. Schedule an eye exam for contact lenses with your Downtown Boston eye doctor at Vision Care 2000. Our team is available to you at (617) 487-4640. Many people prefer to wear contact lenses instead of glasses. However, contacts require more information to fit correctly than glasses do. This is why exams for contact lenses are a little different than your routine eye exam. How is a Contact Lens Fitting Different from a Regular Eye Exam? Basically, there are more tests involved. Along with the tests that are required to assess the overall health of your eyes and what your visual acuity is, tests to determine the shape, size, and other characteristics of your eyes are also required for fitting contacts. When you have a contact lens fitting, our optometrist in Boston will map the surface of your cornea using a keratometer to evaluate the curve of your eye. A biomicroscope will be used to assess the surface of the eye on a very fine scale, and we will measure the size of your pupils and cornea. Because contacts rest on the surface of your eye, they must fit correctly in order to be comfortable. They must also be fitted correctly in order to be as safe as possible. Whether to wear glasses or contacts is a personal decision. As long as it is safe, we will support your to desire to use whatever method of vision correction you prefer. Many patients who were told that they could not wear contacts will now find that they are able to. If you are not sure whether you can wear contacts safely and comfortably, ask our optometrist. If you are looking for an optometrist in Boston, MA, call us today! We provide contact lens fittings, regular eye exams, eye disease management, and more. Contact lens fittings do take a little longer than regular eye exams, so just let us know when you make your appointment that you will need this extra time. Make an appointment today at (617) 487-4640.